“Though a grass-roots initiative, The Community Against Preventable Injuries has become a province-wide, multi-partner organization designed to raise awareness, transform attitudes, and ultimately change behaviours. Its goal is to significantly reduce the number – and severity – of preventable injuries in BC.” This quote is taken directly from www.preventable.ca, the Community Against Preventable Injuries (“The Community”) website. 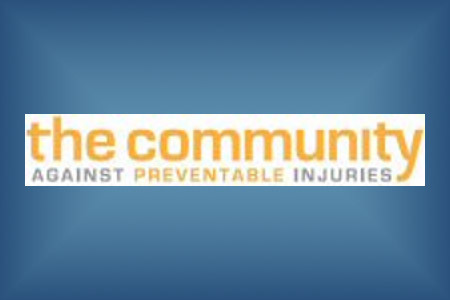 The Community is a new non-profit organization dedicated to the prevention of ALL types of preventable injuries in British Columbia – whether in the workplace, at home, at play, or on the road. The Community has established their website as a means of educating the public, and the group’s initiative will also include transit ads, news articles, as well as a video series on Global TV. The Community’s website is a valuable resource, offering a wealth of information related to preventable injuries – including videos, news articles and statistics, along with helpful hints and resources. In its effort to reach as many people as possible, The Community has also set up accounts on YouTube, Twitter and Facebook. On their website, the Community describes their mission as follows: “With a positive approach to prevention, The Community focuses on what British Columbians can do to prevent injury, not what they shouldn’t do. Together, we empower British Columbians to make choices that will allow the people and the province to thrive for years to come.” The Community’s pro-active approach is unusual in that the group chooses to dwell on the positive (such as offering tips for safety measures and for avoiding preventable injuries) rather than the negative (such as pointing out all the things the public does wrong). The Community focuses on the basic concept that injuries can be easily prevented if people are made more aware of the potential for avoiding preventable injuries – simply by pointing out the facts (ie. The merits of wearing a helmet when riding a bicycle) in a manner that appeals to the public’s common sense. Statistics reflect that each year over 27,000 British Columbians are hospitalized as a result of preventable injuries – and some 1,200 of those people die. The Community aims to drastically reduce these statistics by encouraging preventative behavior across the province and in all aspects of life. In its continued dedication to safety at all levels, WorkSafeBC is a founding member of The Community, which is governed by a board of directors representing various organizations, including BCAA Traffic Safety Foundation, Insurance Bureau of Canada and Pacific Blue Cross (among others) – all united in developing a safer, healthier British Columbia. For more information on The Community, its initiatives, or its partners, visit their website at www.preventable.ca.